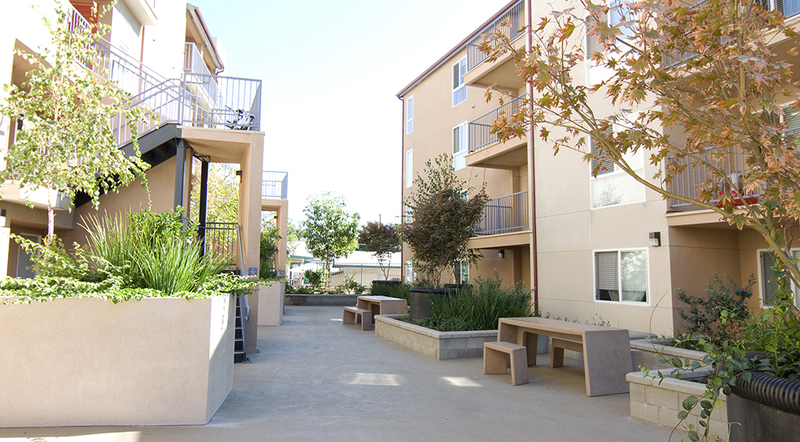 Temple Villas is a 52-unit affordable apartment with 1-, 2-, 3- and 4-bedroom family units. Total buildable area is 58,100 square feet. 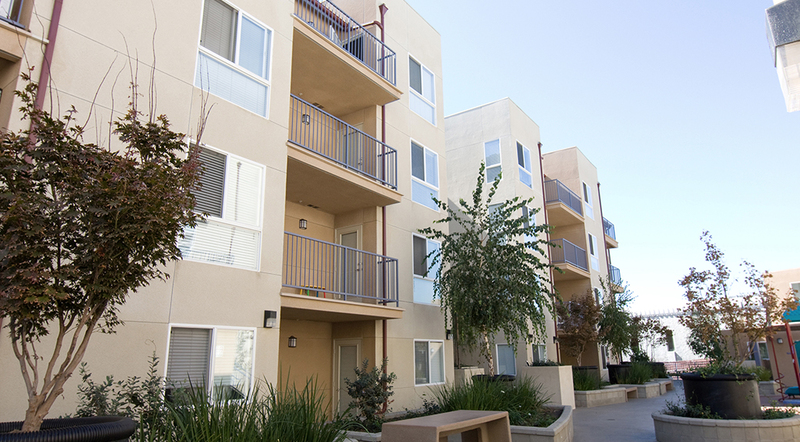 The new housing is located on a 32,000 square foot site west of downtown Los Angeles in the Beaudry/Echo Park district, near schools, medical clinics and Echo Park. MTA bus service is available for residents along Temple Street. 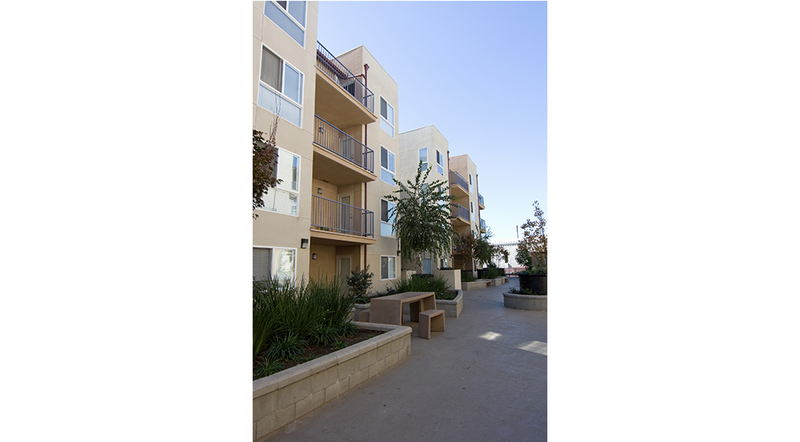 Construction is one four-story residential building over a subterranean parking garage of 52 spaces. 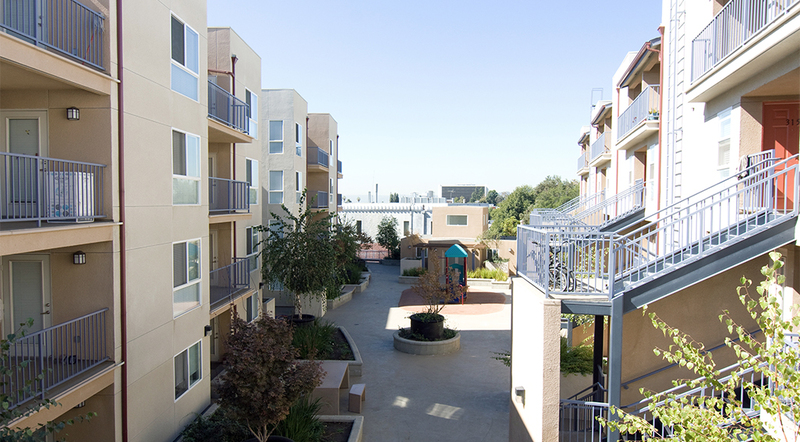 Amenities include a children’s play area, landscaping and community clubhouse. The design exceeds Title 24 energy efficiency requirements by 15%, and all appliances are Energy-Star rated. No- VOC paint and low-VOC adhesives were used. 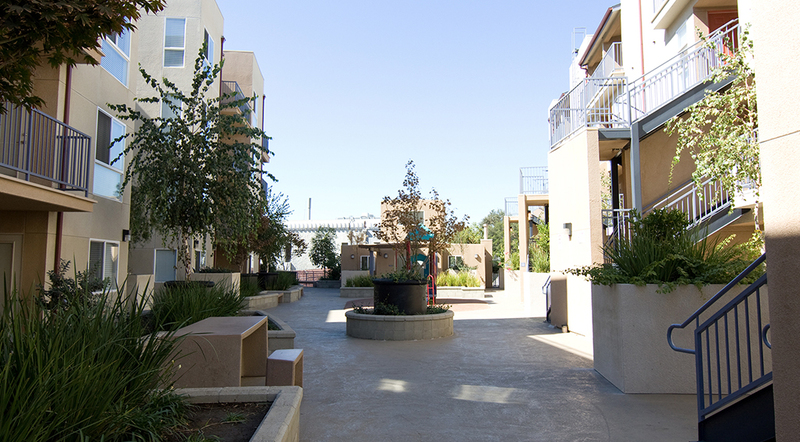 Temple Villas was funded by 9% Low- Income Housing Tax Credits, allocate in 2005, and City of Industry funds. Occupancy began in 2007.